On your paper, draw the shapes shown at right. Label the length of each side on your drawing. 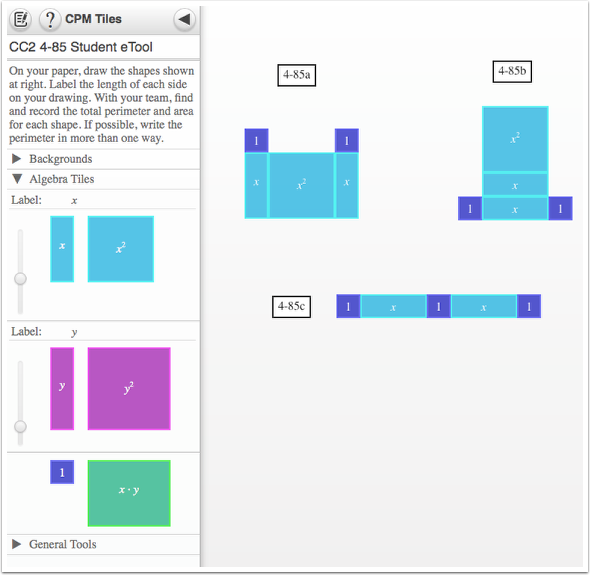 With your team, find and record the total perimeter and area for each shape. If possible, write the perimeter in more than one way.